3bd exécutif / 3BA Silver Mountain Condo situé à 100 yards de Bear Valley Lodge. Parc dans le garage et prendre l'ascenseur vers le haut. La cuisine a des comptoirs en granit, Bosch appareils en acier inoxydable et est stocké avec des pots de nouvelles, casseroles, assiettes et ustensiles. Le salon dispose d'un "TV 46 de plasma et de disque Blu-Ray home cinéma avec son surround. La chambre à ce niveau a un lit superposé personnalisé avec double canapé-lit canapé et la salle de bain a une baignoire spa à jets. Les deux chambres à l'étage chaque grands lits et tous deux ont attaché des bains avec de grandes douches. Il n'y a pas de meilleur endroit pour décompresser après une longue semaine de travail ou pour des vacances inoubliables. Garer la voiture après une courte distance en voiture de la région de la baie et profiter de Bear Valley à votre pas de porte. Marche au lodge pour un café au lait ou de la nourriture, prendre la navette à la station de ski et de ski de retour via «Home Run». Nous prenons nos enfants luge juste à l'extérieur du bâtiment. C'est la colline idéale pour les tout-petits et élimine les tracas de devoir conduire quelque part. Nous avons acheté presque tous les meubles neufs de Macy's et avons fourni à la cuisine d'excellents équipements et ustensiles. Nous aimons l'endroit et nous sommes convaincus que vous aussi. Louer et bonne chance! We had a great weekend stay at Murphy Condo--it was modern, convenient, and cosy. The kitchen is well-stocked with all the cooking equipment you need. The owners are very communicative and thoughtful. It's the best place we've ever stayed in Bear Valley by a long shot, and we plan on coming back! This condo was perfect for our family of 4. We have 2 small children and the condo was super kid friendly. The condo is in great shape and all the amenities are top notch. It is perfectly located across the street from the Lodge with restaurants and the general store. It is a short drive to the ski mountain. Wonderful Place - Kids Loved It! Richard is a welcoming host who is always approachable and answered all our questions in time. Five stars! We have stayed in the Silver Mountain condos for the last 6 years, and of the 4 units we have stayed in before, this was our favorite. It is the best stocked and most like a home. All of the previous units have the same 3 bdrm 3 bath floor plan. Our favorite finding was the boot and glove rack, next to the washer and dryer. After a long day of skiing or playing in the snow, you hang your wet mittens/hats/etc on this rack, which blows warm air in them to dry them. Other happy findings:an unusually comfortable bed; a stool in the bathroom for little children to wash their hands; a rice cooker, fondue pot, crock pot, and salad bowl (with matching salad tongs) in the kitchen; tissues in every room (sounds insignificant, but most of the places I have stayed have no tissues anywhere to be found). If you’d have one at home, there is probably one here. The only downside was really the lack of a working TV. We met and talked to the owner the day we moved in and discovered that the home theater system had just broken right before we checked in. While we weren’t there for the TV, we were there for New Years’ week, and we missed the football games, NYE countdown, and Rose Bowl parade that we usually would have watched. It might have been nice to have more closet space. The closets had relevant things in them (toys, games, stuffed animals in the kids’ room; extra soft sheets, blankets, pillows in the upstairs bedrooms), but I was expecting a place to hang my clothes. We loved staying in this unit and would stay at this condo again. Love staying at this condo! The owner is super nice, always checking to make sure we are happy and comfortable with our accommodations. We will stay there again for sure. 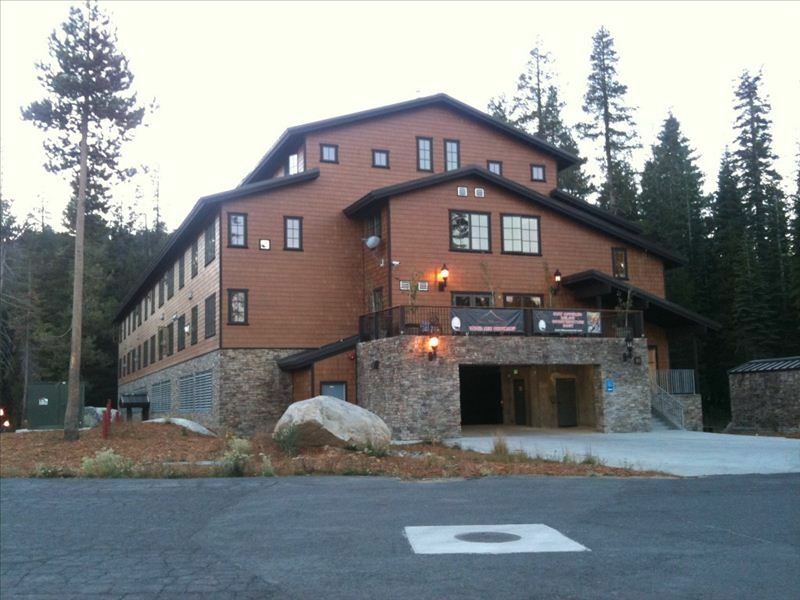 The place is clean, owner really cares about his property, and the condo has everything you need to have a great time at Bear Valley. We loved our stay at Richard's condo. It was very clean with a well equipped kitchen, bathroom, laundry, and family room (games and movies). It was perfect for families and even more so for a family with young children as the host provided many useful items for kids. Before we even arrived at the condo, Richard sent us a list of helpful tips and places to eat/see in the surrounding area. Whenever we had questions he got back to us right away and was always kind and helpful. We were there for an outdoor adventure camp called Pursuit and the condo was in the perfect location in proximity to that event--easily walkable. I have an oversized van and there was ample parking in front for us. We never had an issue finding a space. You also get a reserved spot in a covered parking lot underneath the building. While we were there in early August the condo was nice and quiet. When we attend our adventure camp next year we hope Richard's condo is available to rent again since we loved it so much. Thank you, Richard, for a truly wonderful stay! No Pets / No Smoking / Weekend rentals must include Friday & Saturday nights.